About: This is Miss Izzy, our recent adopted Cocker Spaniel. She is a sweet mild mannered little girl who was returned to Animal Education and Rescue twice because she was perceived to be “Too Needy”. We totally disagree as she is not needy and only wanted to be loved by her owners. 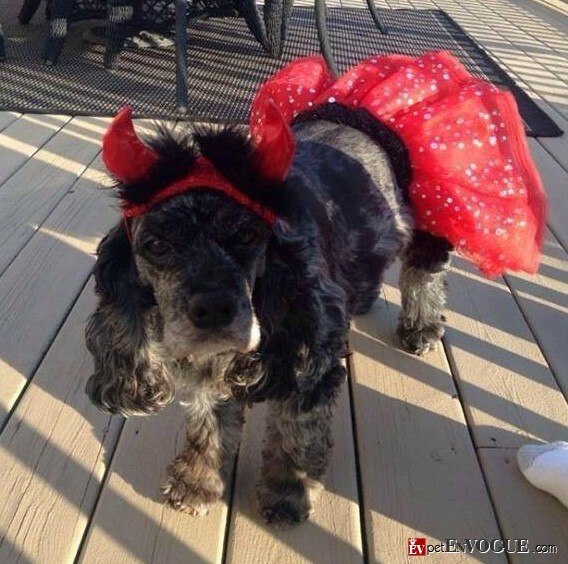 Since she is so sweet we decided to dress her as a ” She Devil” …. We love her very much. Hey Gene, you should share Izzy’s entry page here on your Facebook or twitter pages.